Heavy-weight fleece hood, contrasting hood liner and wrist ribbing, denim applique with embroidery, 65% polyester/35% cotton. Wear-tested and ready to ride, this button-front shirt has a figure-skimming fit and just the right amount of stretch so it moves with you. Indigo striped jersey, long sleeve, lace front Henley, exterior branding label at left hem. Enzyme washed. 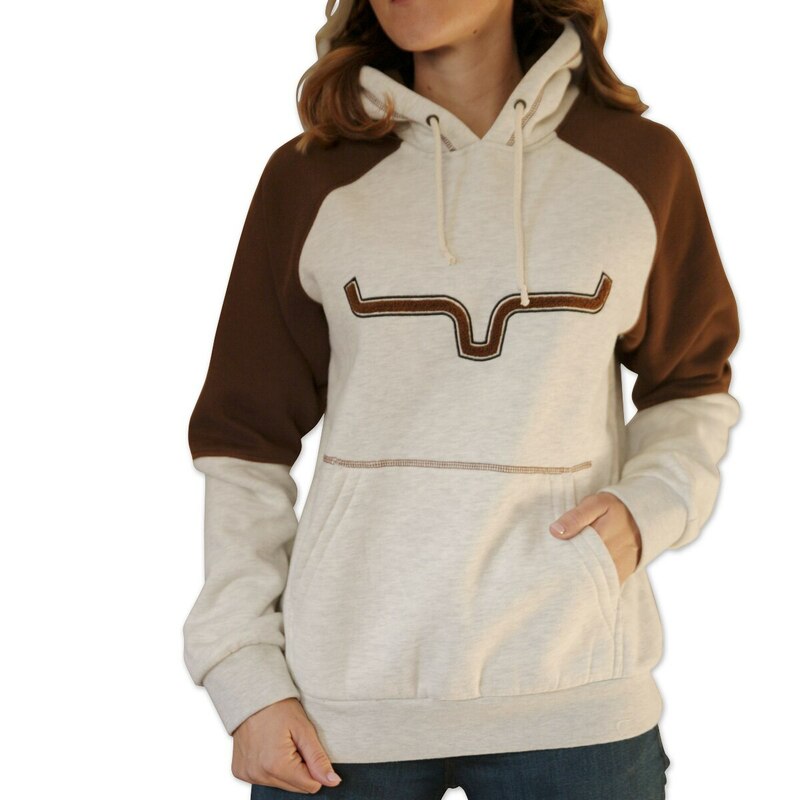 Color-blocked pullover hoodie with exaggerated slouchy fit and V-neck front. KR horns embroidery application at chest. Light weight blended fleece, color blocked raglan hood with Workmans Comp printed front.